Get on the Path with the Canadian Path Starter Kits! Have you heard about the new Canadian Path Starter Kits? They’re super cool! Canadian Path Starter Kits are packages that your Group can order from Scoutshop.ca to get a head start on the Path! They have tonnes of cool stuff in them — everything from some of the new badges, to Program Maps, to uniform diagrams, and lots more! Let’s check it out! So let’s start off with talking about the different kits. There are three different ones that your Group can chose from. Each kit different, to better fit the wide variety of Groups we find in Scouts Canada today! Kit 1 is built for Groups with around 15 Beavers and 10 Cubs. 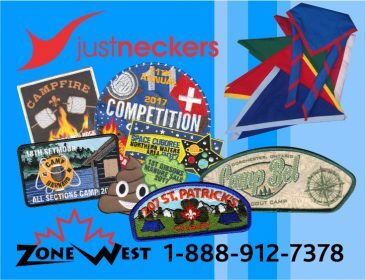 It includes Personal Progression and Personal Achievement badges for the Group, Outdoor Adventure Skill badges, Canadian Path Linking badges, and the Program Maps for both Sections! It also includes Scouter Manuals, some Trail Cards, resource bundles, uniform diagrams and a few other odds and ends. Kit 2 is built for Groups with approximately 15 Beavers, 15 Cubs, 15 Scouts and 5 Ventures. It has everything from Kit 1, but for all the Sections. It also has even more manuals, resources, diagrams, badges, Trail Cards and a bunch more sweet stuff! Kit 3 is the same as all the other kits, except built for a Group with 25 Beavers, 25 Cubs, 20 Scouts and 5 Ventures. Wow. That’s a big Group! It also comes with Scouter Manuals, resources, and a LOT of Trail Cards! So why get these Starter Kits? Well, to many Scouts and Scouters, The Canadian Path is intimidating! “Where to start?” is a commonly asked question. These kits will help you get on the Path as quickly and as easily as possible! So spread the word! The Canadian Path Starter Kits are now available on ScoutShop.ca! And if you order yours this spring, you can get a discount of up to 35%! What kit is right for YOUR Group?